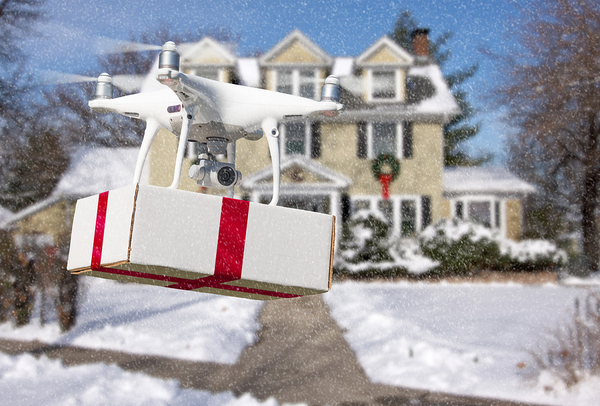 Companies have experimented with drone delivery, but the idea has not taken off widely. Drone delivery was going to revolutionize the delivery of everything from pizza to Amazon packages. As the use of drones became ubiquitous in recent years, so too came the promises of fleets of drones that would deliver to us wherever we were. What happened? What’s the status of delivery by drone after years of anticipation? Has the idea fizzled or are there other barriers at play? Drone delivery is hardly dead. In fact, there are ambitious plans afoot to use airborne devices to reduce congestion in urban areas. In May 2018, the Federal Aviation Administration announced in the technology news ten pilot programs that will help develop the right procedures and best practices for drone use. Some of the proposals are designed for non-commercial uses, such as mosquito control in Ft. Myers, Florida. The FAA selected the ten programs from 149 proposals. The next step is to help the winning pilot programs refine their programs with agreements that outline responsibilities, fine-tune operational concepts and establish data-sharing protocols. The winning pilot programs represent local, state and tribal governments, who will work with the private sector to explore how to integrate drone operations into the nation’s airspace. San Diego was one the winning proposals. The city is partnering with Uber to offer food delivery by drone. If food can be delivered without the bicycle and vehicle traffic that now is part of the typical delivery process, there will be considerable civic gains. First, there will be less congestion on city streets. In addition, drones would allow for reduced costs and greater delivery areas for restaurants. Domino’s has been at the forefront of drone delivery, sending the first drone-delivered pizza in New Zealand in 2016. In 2017, the company began delivering pies in Germany and the Netherlands using land-based autonomous carriers. Amazon CEO Jeff Bezos predicted the company would have drone deliveries by the end of 2018. 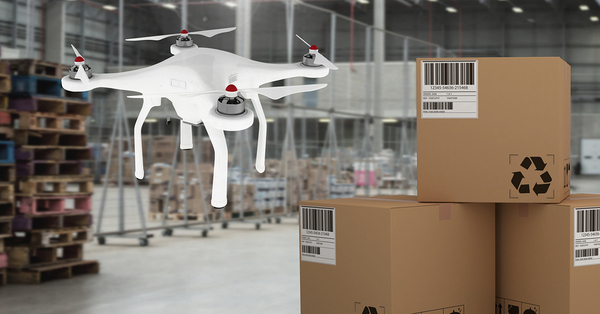 In December 2013, Amazon founder Jeff Bezos predicted the retail giant would be using drones for deliveries within five years. That deadline has now passed. Amazon said in late 2018 it was still committed to delivering via drone but is not committing publicly to any timelines. DHL Express and UPS have experimented with drone deliveries, but several major hurdles are remaining. The first is technical. Drones have short battery lives, making it challenging to maintain a large enough fleet to complete deliveries. What’s more, humans “know where customers live and which doorbell to ring,” according to a recent Associated Press article. The other is regulatory. While the Trump administration has been supportive of the pilot program, experts say clearing up the regulatory hurdles could take at a decade. Right now, for example, drones need to be flown within sight of their operator. The machines can’t fly higher than 400 feet, are prohibited from flying over some federal facilities, can’t operate near an airport and can’t fly at night. There are also privacy concerns, with some worrying that business leadership will use fleets of drones to collect data related to customers and non-customers alike. While obstacles remain, the opportunity and technology are available. It’s likely that public-private partnerships will move forward many of the issues and begin to create a landscape that makes widespread drone deliveries possible.